The Fault in the Stars director is putting the long-gestating project on the backburner to helm an adaptation of King's 2014 bestseller, Revival, instead. 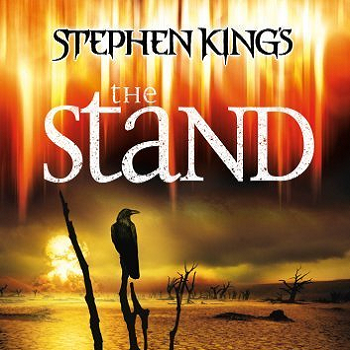 A proper adaptation of Stephen King's The Stand is just one of those classic Hollywood projects that seems destined to never see the screen. They tried it once in 1994, and save a well-crafted intro set to Blue Oyster Cult's "Don't Fear the Reaper," the result was mostly a dud. They've been trying to do it again since about 2010, but it has jumped between more directors, actors, and studios than the novel itself does characters with absolutely zero result. The latest setback in the saga of The Stand comes from currently attached director Josh Boone, who told Deadline that he would be delaying the big-budget adaptation of King's magnum opus in order to direct an adaptation of another, more recent King work, Revival. On spec and in concert with producer Michael De Luca and author Stephen King, Boone has penned an adaptation of Revival, based on King's 2014 bestseller about a charismatic preacher who loses his faith when his wife and child are killed in a tragic accident. Unhinged from the religion that grounded and gave him a conscience, the preacher becomes ruthless in his experimentation into the healing but dangerous power of electrical current, positioning him to act as God-like faith healer and opening a terrifying Pandora's Box. When Boone - who considers King such an influence that he put the author in his first film Stuck In Love - asked King for more time on The Stand, they began talking about Revival and the author put him in touch with De Luca, who had just optioned the book. The failure to bring The Stand to the screen can largely be placed on the incredible scope of the source material itself. At 823 pages, The Stand doesn't exactly fit into the 2-hour window that moviegoing audiences demand from most "mainstream" pictures, and it also delves into the absolutely darkest themes possible from cover to cover. It's a challenge that not many directors seem capable of handling, but Josh Boone (The Fault in Our Stars) seem convinced that he had found the formula. A lifelong Stephen King fan, Boone first signed onto the project in 2014, revealing his plans to split the movie into a four part series with, get this, Matthew McConaughey attached to star as Randall Flagg. With Warner Bros. backing him for the incredibly ambitious project, The Stand seemed all but a go. But now come the aforementioned setbacks, as they always do. Though I suppose you could look at Boone's take on Revival as an audition for sorts to see if he really is the right man to adapt The Stand (which he certainly seems to be). With McConaughey currently set to play Flagg in Sony's adaptation of another King property, The Dark Tower, could it be possible that all the pieces might actually be falling in line for a near future Stand adaptation? No, probably not. But a fan can dream, can't he?